Our review can be found HERE! I was completely floored to find an email from her waiting for me! She asked for my mailing address so that she could send me some Starters Swag. 4 postcards and 2 pins! She is just all sorts of awesome. Of Poseidon sounds great! 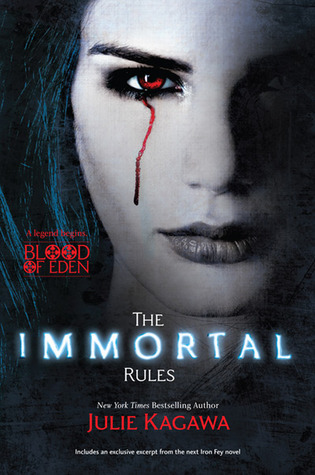 and The Immortal Rules is going to be a definite must read! Really cool Starters and Croak wins! I really enjoyed Croak and want to read Starters. I also received and read Immortal Rules. It was amazing! I also have Of Poseidon so excited but haven't had the chance to read it yet. I've been eyeing Croak … it looks great! I can't wait to read Immortal Rules and Of Poseidon, too. So many good books! Yay! Of Poseidon and The Immortal Rules o/ I can't wait to pick those up myself! And that sure is some awesome-looking swag. o: Awesome week; hope you enjoy! Lissa is such a sweetheart! The swag looks amazing. Um.. You know you guys rock!!! I am needing Of Poseidon bad lol You had an awesome IMM this week with some super cool stuff!! The Starters swag is awesome!! Happy reading!! I'm loving the covers for Poseidon and Among Others; so magical looking! :) Enjoy your fun new reads! I got THE IMMORTAL RULES too…. Truly love signed books – seem so personalized, books seem to have a distinct flavor to it somehow with the author's signature. 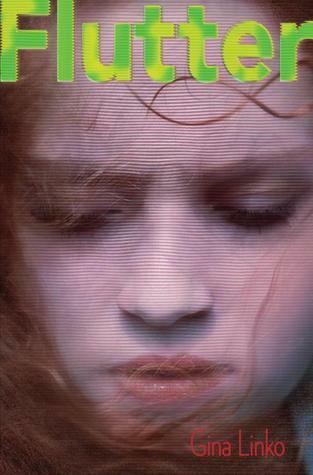 The book cover of Starters truly look creepy, and I'm sure that it must be a fascinating read. Enjoy your reads this week. Lots of people got The Immortals! I wish I was one of them! Great haul! Starters looks so good. I cannot wait to read it. I hope you enjoy everything you got this week. Here's my IMM! WOW, check out all your Starters swag… that is so awesome! Congrats on the awesome review! You two got some amazing books this week! And Starters swag?! I <3 Starters! I hope you enjoy all of your reads! Ooh LOVE your Starters stuff! I loved that book. And can't wait to read Of Poseidon it sounds SO good! Great haul chick!! <3 your face!! Ladies! Croak sounds so great and all that swag is amazing =). This is quite the awesome stash for the week! Wow, what an awesome haul. That Starter swag is awesome!!! WOW – what a great mailbox!! The Starters swag and the Croak swag/signed copy are awesome! I got Of Poseidon in the mail this week too – I'm excited to read it! I can't wait to get my hands on The Immortal Rules – it sounds so great! Happy reading! Starters! We just got that this week! The cover of Among Others is SO pretty and all of the Starters swag! Oh, that book was so good. Have quite a few of those too. Like the Starters Swag. I have seen Starters here in Aus.. I think I'll get it soon. The Immortal Rules. I can't wait for that! Wow lots of Starters awesome!!! :-D You've got some great things this week ! Enjoy!